It’s good to know that something can be done with your dull and etched marble surfaces. You’ve tried just about every cleaner out there but still, the rings, scratches and what appears to be stains are still there. Marble, limestone and travertine all have calcium carbonate in their makeup. Many types of cleaners and foods / drinks will react with it and cause it to etch. Just about anything acidic will etch marble and that’s not just drinks such as lemons, margaritas but also many cleaners are slightly acidic. Even your perfumes and colognes can damage your marble surfaces. This room was used to make wine for years which left the marble etched and stained. The discoloration and the rings is not dirt, it is etching and staining. The homeowners wanted the floor restored to it’s original sheen which was honed. As well the small diamond inserts needed to be brought back to a high polish. We were able to hone the floor with a coarse grit diamond abrasive which took care of the etching and staining. Then it was brought up to a higher sheen with lesser aggressive abrasives. The inserts were then polished. Due to built in wine shelves being installed the day after, the homeowners saved some money by not having us detail those edges. 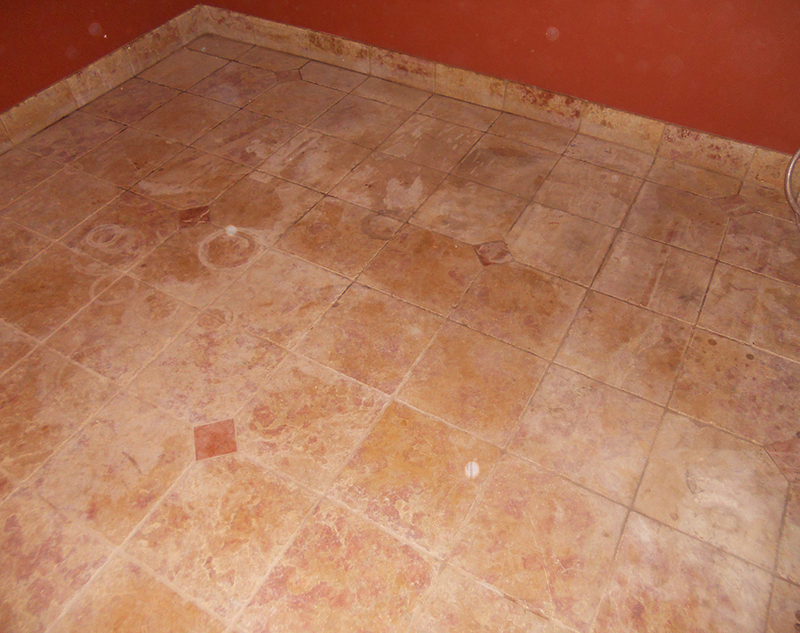 Be sure to give us a call on your next stone / marble restoration project. Some of the areas that we service are San Jose, Los Altos, Los Gatos, Fremont, Cupertino, Menlo Park, Redwood City, Morgan Hill and other Bay area cities. 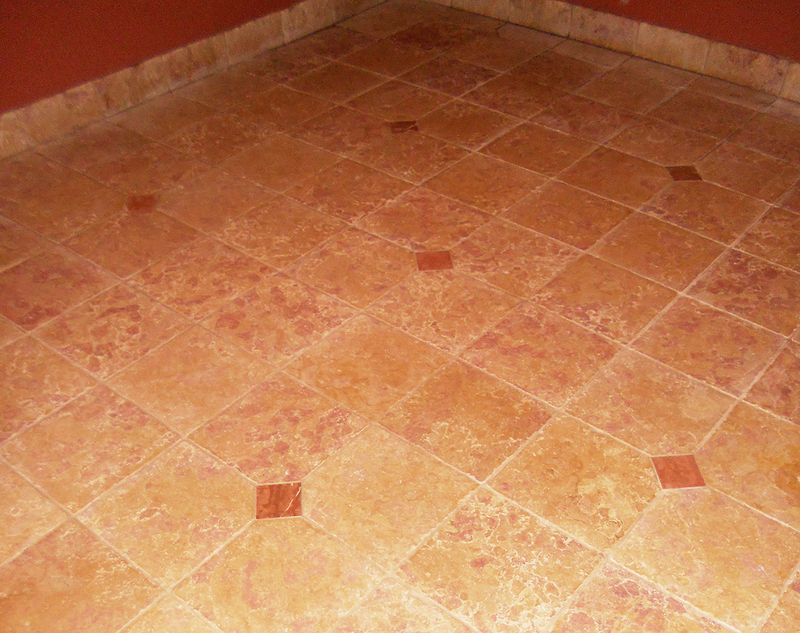 This entry was posted in Marble Cleaning and Polishing by admin. Bookmark the permalink.